Just how dark can a corporation become before it suffers the backlash? 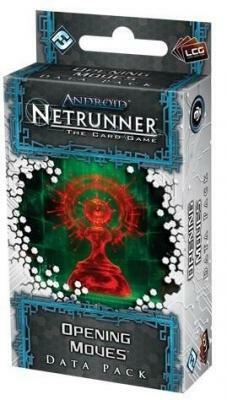 Opening Moves kicks off the second cycle of Data Packs for Android: Netrunner The Card Game with a focus on bad publicity, good PR, and daring new gambits for players to undertake in their continued cyberstruggles. Its sixty cards (three copies each of twenty different cards) allow Corps and Runners to explore a wide range of innovative, new (and sometimes dirty) tactics as they battle for the control of highly valuable data! CONTAINS CARDS 1-20 of the "SPIN CYCLE."